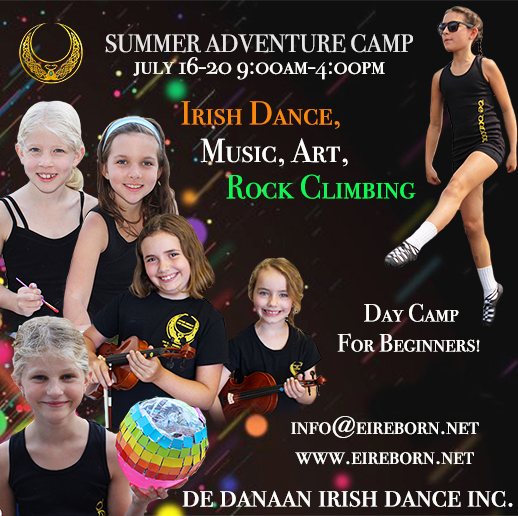 Our De Danaan Irish Dance Camp is offered to new and returning students, best suited for dancers ages 5-13. We offer half-day and full day options which include Irish Dance, rock climbing, a choice of an elective and fun indoor and outdoor activities! Registration must be completed and paid in advance and can be done by email at admin@eireborn.net or can be dropped off at the North Vancouver Studio.